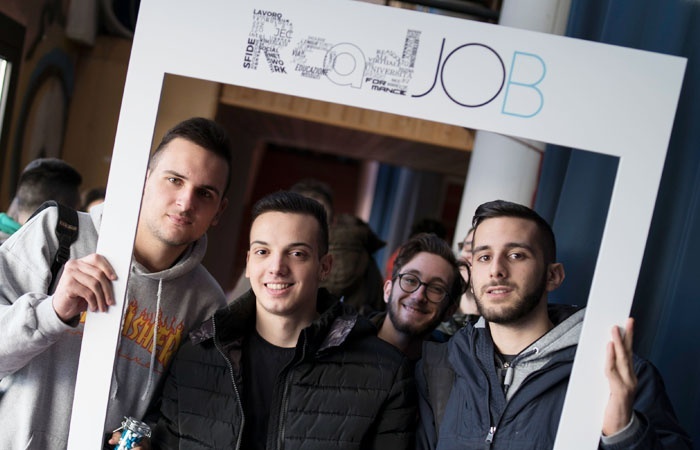 The world of work is opening up for the next generation: the Roadjob project, created from ideas coming from companies working in the Lecco,Como, Brianza area. In 2019 training courses that offered a real view of working life were introduced into the schools’curriculum and from January 28th to March 21st the best students from the 13 technical and professional institutes of the 3 provinces were involved in training sessions with professionals from the industrial world so that these students could acquire the knowledge and know-how that is sought after today. 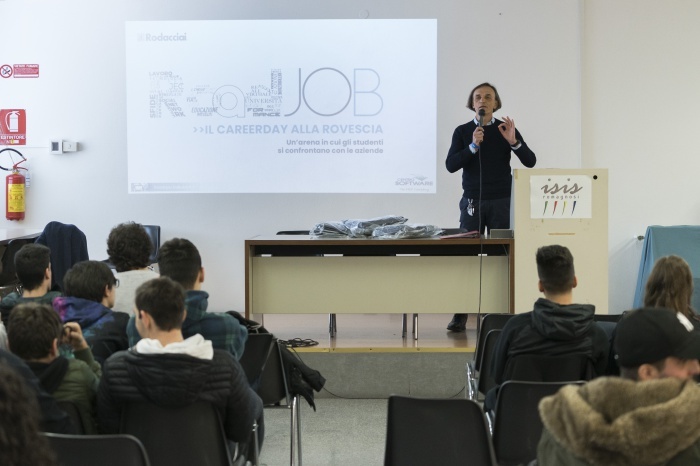 Roddacai has supported this program since its inception, and will be present at the concluding event of this new adventure: Career Day with a Twist, that will take place on the 25th March 2019 in the Congress Centre of Lariofiere in Erba (CO). It will not be the usual Career day event, in fact on this occasion the rules of the game will be turned upside down: in the big ‘arena’ there will be the students , and they will be able to question and debate with leaders of industry. The students will be able to hear from the mouths of the top employers what is expected of them whilst working and the professional opportunities available to them in their Areas. The morning will be intense and full of rich moments for reflection, interesting debates both for the students and the participating partners. There will be an initial orientation encounter between the students and the ‘Navigator’, a title of evident actuality with which Roadjob has re-baptised its partners, professionals, headhunters and work agencies. The ‘Navigators’ have the job of answering the questions that the students have with regard to helping orient them and encourage their first steps in the world of work. At the same time university students will have the opportunity to partecipate in the work shop on ‘Personal Branding’ held by a professional from LinkedIn. From 10.30 there will be a speech from Talent Garden, one of the most notable networking and training platforms, called ‘Digital Transformations in the manufacturing environment’ followed by a face to face between students and managers from the industries of the Como, Lecco, Brianza Areas. Roddaccai will obviously be in the front line in bringing its contribution, answers and curiosities to the next generation of workers. Not only will this be about real Corporate Social Responsibilty but also a cultural operation, because this will help to train the young andthe ‘ not so young’, but help guide new intellectual parameters, through new studies and experience that will become the core element of the single personalities and their awareness of the social aspects of today.